Healthcare leadership and management roles are in demand as hospital systems and clinics strive to keep pace with shifting demographics and evolved payment models. Nebraska Methodist College is prepared to meet that demand by educating business professionals who strive to offer a compassionate approach to administration as they embrace the challenges of the future. 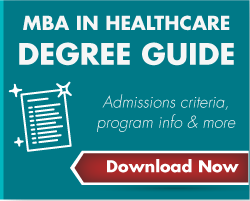 The Master of Business Administration (MBA) in Healthcare is an online program that creates leaders who anticipate change, standing at the forefront of a new healthcare management model. As a nursing and allied health institution, we are uniquely situated to help future executives address the challenges faced by healthcare organizations in the 21st century. Our experienced faculty provide MBA students with a skillset that includes effective communication, critical thinking and complex problem-solving. Students will be able to lead strategically in healthcare settings by recognizing the value of diversity, developing human capital skills alongside business acumen to meet the ever-changing healthcare market. With classes launching multiple times in the year, the time is right to make compassion your business. And it all starts with an education from Nebraska Methodist College. According to the Bureau of Labor Statistics, medical and health services manager jobs will have a much faster than average growth rate of 17 percent from 2014 to 2024. Although salary ranges vary by state, the BLS lists the median salary for such managers in May 2015 as $94,500 per year.